Twitter is still a social media marketing powerhouse that you should be utilizing often and proficiently. The rumors of Twitter's demise have been greatly exaggerated and it will continue to boost your business if you use it correctly! Take these 8 top tips into account when planning your social selling strategy in the Twittersphere and getting the most Twitter followers. Instagram and Snapchat are all the rage these days, especially with younger users, but are they always the most effective platforms? It turns out that boring old Twitter still drives more than 10 times the website traffic than Instagram or Snapchat. Remember that next time someone jokes about you being old, lame, or behind the times for still using Twitter. You can laugh all the way to the bank (figure of speech, I know nobody actually goes to the bank anymore). Twitter is a great way to easily identity industry influencers. Just searching for people and lists can work wonders but Twitter also fuels helpful websites like Onalytica, Klear, Klout, and Agilience. I'll even check Twopcharts or similar programs to more accurately gauge an Influencer's following on Twitter. That all being said, there is no substitute for really knowing your target industry when it comes to identifying and leveraging true Influencers that can provide you with a strong ROI. Your Twitter profile is very important but it should be a relatively quick process compared to your tweets, retweets, replies, and other engagement. There are some basics necessary for a good profile. - Profile description rich in keywords, accurate but enticing information, hashtags if needed, and secondary links / usernames on another social networks. Not all of these apply or there may not be room for all of these but the more of these you can include the better it will be for you most likely. - It’s also useful to include a link to your Periscope account (which is visible on desktop version and doesn’t count as your main link) and to pin a very important tweet to the top of your account. From there it’s all about creating great content, growing your brand, and engaging with other relevant accounts. This will allow you to get the most Twitter followers and more high-quality followers. While it can come across as spammy, following multiple accounts and later unfollowing those that don't follow back can drive some new followers, likes, retweets, engagement, and website traffic to your online business. This is a gray area in the Twitter's terms of service to say the least and overall I wouldn't advise engaging in this practice or using automated programs to do so. But some people do encourage it in some cases, and advise you to follow the Twitter followers of your peers or business rivals. This way you can get new followers that might be interested in the content you are posting. On Twitter it can be especially useful because the number of accounts you're allowed to follow is restricted to 5,000 until you reach at least 4,500 followers yourself. Once you get beyond that 5,000 follower mark, you can only follow about 110% of the number of users that follow your own account going forward. As one marketer was overhead saying at the recent Inbound marketing conference, "you follow X people and Y people follow you back". It's not pretty but it can work, so work your Twitter Follower:Following ratio. If you have the time for tedious tapping and want to take this risk, you can follow up to around 800-1,000 new accounts per day. You can also unfollow accounts manually. Numbers and lengths of time could vary based on the number of followers you have, length of time you’ve had your account, spam / abuse reports against your account, and other factors. A lot of unfollowing and/or automation programs on Twitter have been weakened or shut down lately in an effort to improve the average user experience. I'd avoid paying for these services and be cautious in using any free platform that offers these services. You could be risking an account lock, suspension, or complete removal. Now we have 280 characters instead of 140, but you still need to include visuals in your tweets to make sure they stand out! That is just common knowledge at this point. But where do you get this media without infringing on the digital property of others? There are some great license-free and attribution free websites like Pixabay, Pexels, and Canva that offer thousands of free images for all industries. Edit the pictures as needed and make an impression on your followers! Twitter users provide some excellent motivation for all industries. I'd say just as much or more than Facebook, Instagram, or LinkedIn. If you're looking for some great marketing masterminds (besides @MikeSchiemer of course), I get inspiration from the accounts of Gary Vaynerchuk, Neil Patel, Rand Fishkin and Larry Kim just to name a few. Everyone gets criticized on Twitter, including successful marketers and businesses. It's something that is inevitable and you just need to get some thicker skin. Just remember not to feed the trolls, it usually makes them stronger! Responding to a legitimate complaint or problem is one thing and you should respond quickly and professionally to make it right. But if the negative comments are subjective, without merit, spammy, or abusive then don't get in a social media fight that will amplify the issue. It will usually just make things worse and it's often a waste of time and energy. When it comes to mastering Twitter, it pays off to know your followers and your target followers. When you understand their demographics and user behavior, you can increase the chances of getting valuable engagement like favorites, retweets, and a better follower twitter following : follower ratio. When you know more information about your Twitter followers, you can cater your tweets and engagements accordingly. You can also choose to unfollow or follow accounts to improve your efforts and get the most Twitter followers possible. Knowing is half the battle! Tools like Twitter Analytics and Commun.it are great for improving your tweeting. Twitter is not dead yet! I love utilizing all social networks for B2B and B2C marketing efforts but Twitter might be my favorite. This is in part because it's been underrated over the last several years with the popularity of Instagram and Snapchat. Unlike those two platforms, Twitter generates a significant amount of website traffic and social signals for SEO purposes. To maximize total reach and website traffic generation on Twitter, it's often advisable to tweet every hour, attach a video or image, and use hashtags. This will help prevent your tweets from getting lost in the shuffle of user feeds. The tactic of tweeting every hour with media and hashtags included drives hundreds, if not thousands, of website views to my business pages daily and at no cost. It's generated advertising revenue, initiated partnerships, improved website search rankings, and most importantly generated sales. Take these tremendous top Twitter tips to the bank today and get the most Twitter followers possible! 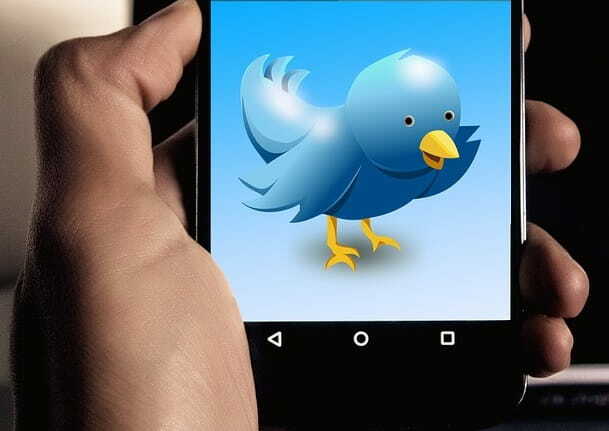 I hope you enjoyed this article about Twitter tips to get the most Twitter followers while helping your social selling strategy. Interested in more articles about social media marketing strategy?